If you are claiming for accidental damage or breakdown of your gadget you can submit your claim online. If you are claiming for theft, loss or malicious damage of your gadget you can submit your claim online. Please follow the procedures below to ensure your claim is processed with the minimum delay. Failure to observe these procedures may invalidate Your claim. You must notify the appropriate local Police authority within 24 hours of discovering the incident. Obtain a Crime Reference / Lost Property number and a copy of the Police Crime Report. Contact your Network Provider within 24 hours of the incident to place a call bar on the handset. Subject to receipt of a fully completed claim form, all required supporting information and the damaged item (where appropriate) the administrator will authorise the repair or replacement of the Gadget as appropriate in most instances within one working day. Please see your Gadget Policy Terms and Conditions for full details. Simple, fair, great value insurance with fantastic customer service as standard. That's it. There are no limits on the number of accidental damage, theft or loss claims you can make in any one year, many of our competitors hide limits of one or two claims per year in their small print. Our policies provide true peace of mind should you need to claim. Unlike most of our competitors we publish our claim stats online and last year we approved over 93% of all claims that were fully completed and assessed. Our expert engineers are continuously trained on repairing the all the latest technology to ensure that your gadgets are returned to you looking and functioning as you would expect. We also only use high quality carefully sourced replacement parts. 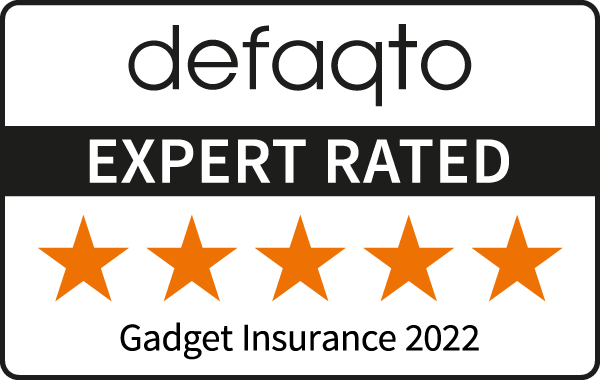 All our replacements are backed by a 12 month warranty and if you are not happy with the quality of any repair or replacement of your gadget we will rectify it or swap for another free of charge. We do not charge for return postage costs on any device and on laptops and MacBooks we offer a FREE collect and return to your door step via our specialised courier service to ensure your laptop is kept safe and secure. We believe in giving you choice so provided you have got your claim authorised by us first, then if more convenient you can choose to get your device repaired at an Apple Genius bar and we will then reimburse you the cost.